Depart from Senggigi (10.00), from Mataram (11.00) by Perama bus to Labuhan Lombok. On the way make some stops to visit traditional villages & see people's daily life. 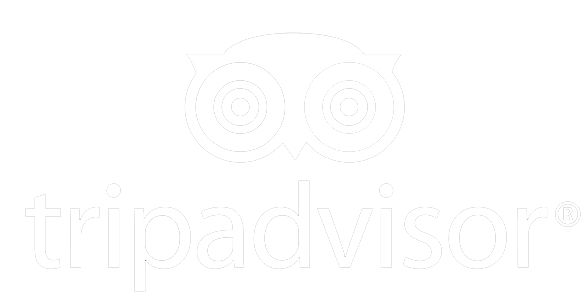 Located in west Lombok Regency,with beautiful view of Rice field surrounded by lush green protected Forest. Also know as one of 5 Holiest temple in Lombok. 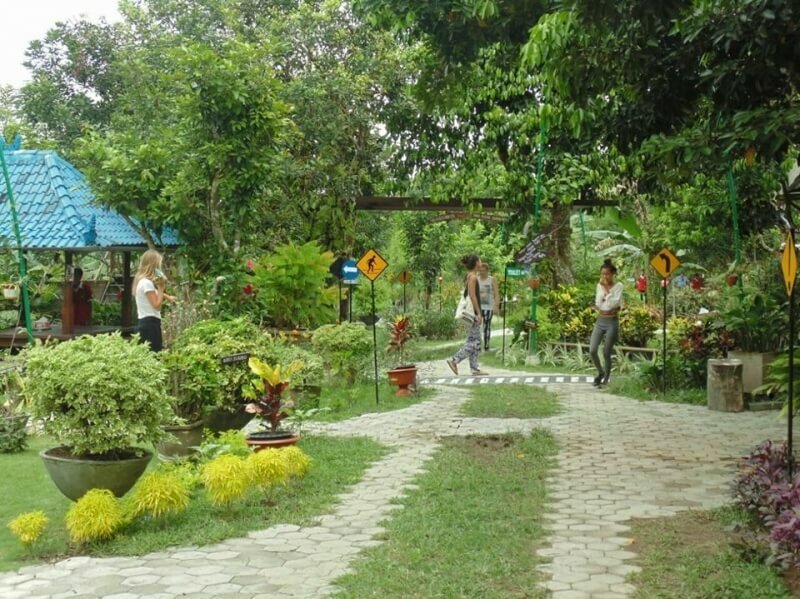 Here we visit the Perama Ning Puspa, eco green tourism sight with natural surroundings and the beautiful botanical collection of plants and flowers. A Fun and educational sight for all family member to enjoy. Through this Park, Perama also aim to help the Suranadi village in becoming a self sustain tourism village. Therefore Perama join hand in hand with the local community to achieve the goal, a better future for all. A historical village in East Lombok of West Nusa Tenggara, Indonesia. This village is known to be rich in terms of culture, nature resources, art and dance. 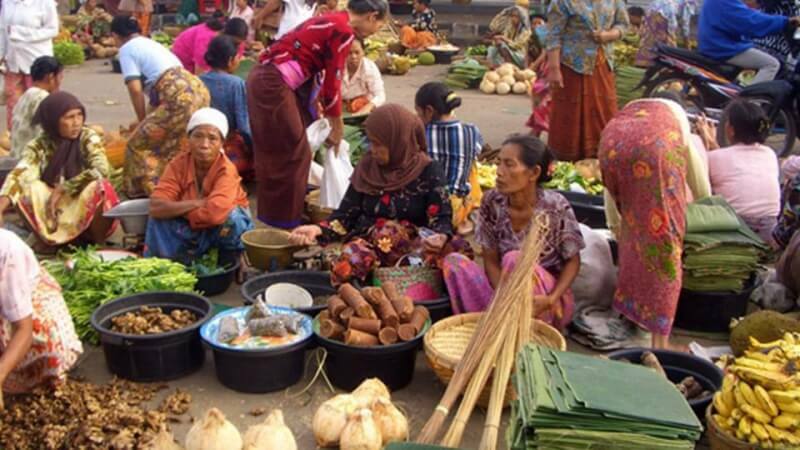 Here we wll visit the traditional agriculture museum and get to know the tradional ways of farming in Lombok with collections of antique farming tools get to know how farming is done in traditontal ways here in lombok. Another thing to see is how the locals in the village with unique skill making a hand weaving, pottery and other handycrafts. Kampung Padak & Kampung Baru, two villages located in East Lombok, Kampung Padak is home to the Bugis ethnic, traditional houses still can be seen here and experience their daily life. It is a part of Perama social bussines development program, to drive the village in becoming a tourism destination by preserving the environment and raisen the welfare of society through a non-formal activities such as providing volleyball and futsal courts and a public library. 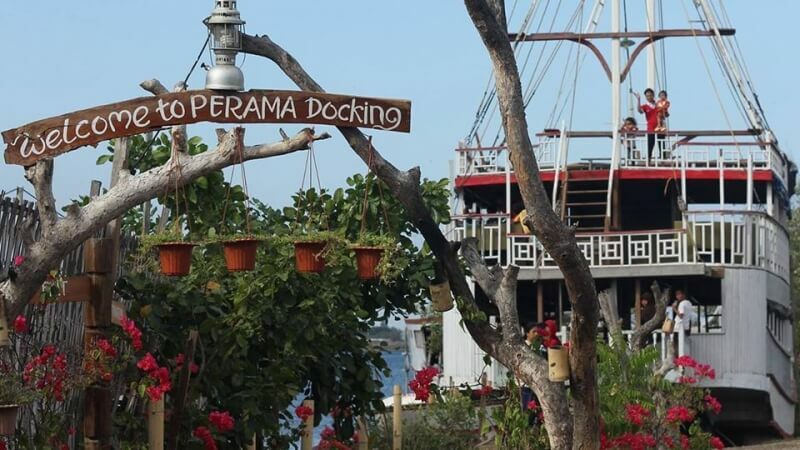 Perama Traditional Docking, It was built in 1990 and has produced a number of Bugis Phinisi style boats. Here In Kampung Baru you can find the Perama Traditional Docking and the Maritime Museum with various collection of historic boat equipment and tools that carpenter used for making boat. Have a cup of coffee or tea in the afternoon while enjoying the sight of Mt.Rinjani and the sunset view. In the evening the crew will make a bonfire and singing a song together,it makes unforgettable memory. (21.00) the boat leave to satonda island. 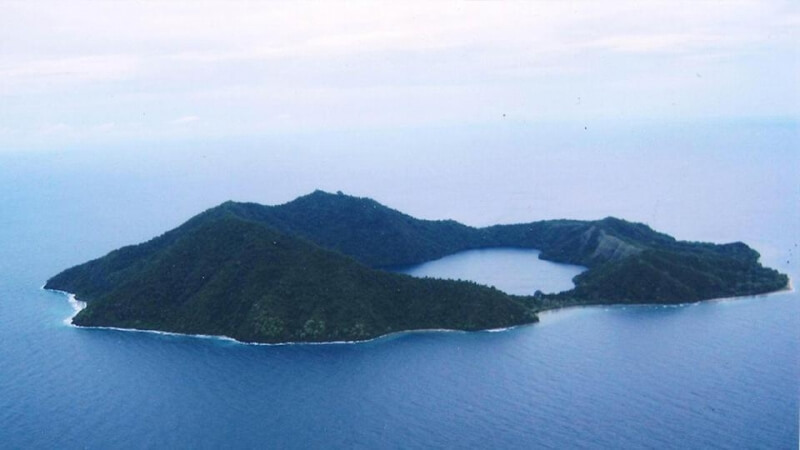 AT 07.00 AM arrive in Satonda Island – a beautiful small island off the coast of Sumbawa with attractive blip of an island with a crater lake at its centre. After breakfast, go ashore for sightseeing around the island and swimming on the salt water lake of Satonda Island. The lake water even contains more salt than the sea, the island was formed by volcanic eruption and risen from the depth of the ocean floor several millions of years ago. Aside from the Lake, satonda is also famous for it "wishing tree", it is belived that if someone hang a rock in the tree breach their wish would come true. 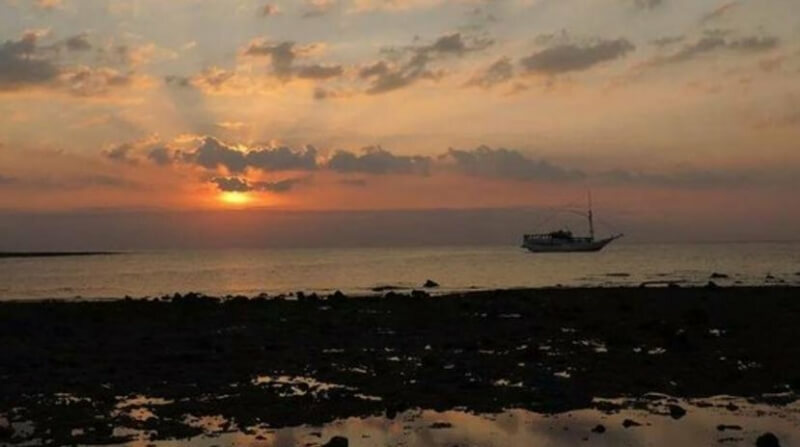 Make a quick stop at the Kilo Beach on the shore of Sumbawa Isladn to enjoy a beautiful Sunset scenery to end the beautiful day with a delicious roasted corn. later 09.00 PM Leave Kilo Beach on night sailing to Komodo Island. Dinner on board. 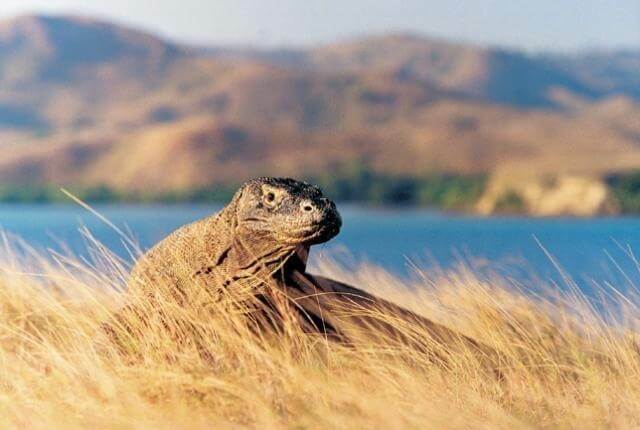 Komodo Island – the main highlight of the program. Breakfast onboard, then go ashore for HUNTING KOMODO by CAMERA. Komodo National park is the home of the unique and rare Komodo Dragon (Varanus komodoensis). Due to its uniqueness and rare nature of the dragon, Komodo Natioal Park was declared a World Heritage Site by UNESCO in 1986. The park includes three major islands, Komodo, Rinca and Padar, and numerous smaller islands together totaling 603 square km of land. At least 2,500 komodos live in this area. Large dragons are usually three meters long and weigh up to 90 kg. Their habitat has beautiful panoramic views of savannas, rain forests, white beaches, beautiful corals, and clean blue seas. In this area, you can also meet several other wildlife such as horses, wild buffalo, deer, wild boar, snakes, monkeys, and various types of birds. venture through the jungle with the guidance of the local ranger, get on an adventure to meet the living fossil it self and mesmerize the beuatiful island and its flora & fauna. 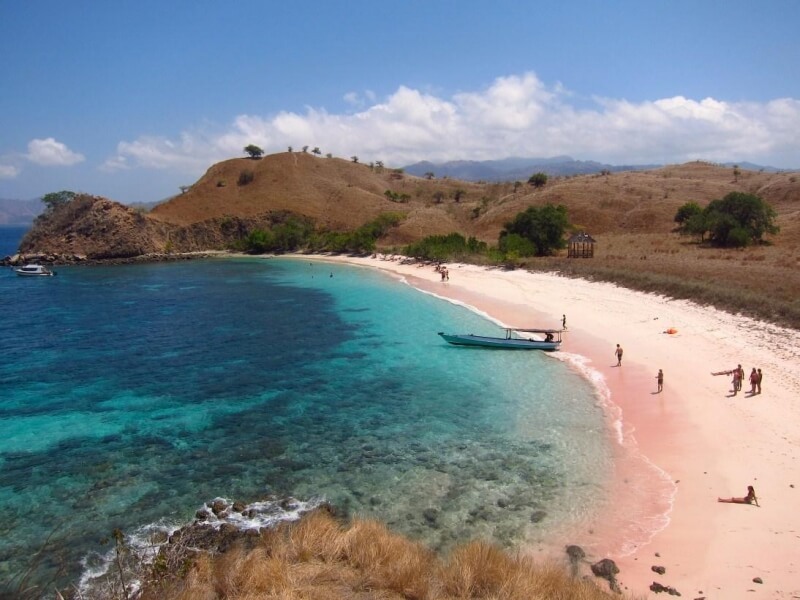 after exploreing the Komodo island, hop onboard again then set tail to the famous Red Beach. A natural wonder of nature, this exceptional beach if famous due to its breathtaking pink colored beach sand. The beach gets its striking color from microscopic animals called Foraminifera, which produce a red pigment on the coral reefs, then it mix with the white sands to produces a soft pink color that is visible along the shoreline. the beach it self is a picture-perfect beach, don't miss the chance to snorkel and explore it's beautiful underwaterlife or just spend time to enjoy the sunbath on this wonderous beach. Later we serve Lunch on board and proceed and sail to Labuan Bajo. Arrive at Labuan Bajo at 16:00, you'll haveextra programs to explore around this small port town as traditonal culture starting to mix with the vast development of tourism industry. As the town is facing west, thus making it also a nice place to catch a sunset view experience. Later in the evening at 18.30, Get back on board for a lively FAREWELL PARTY and also a WELCOME PARTY for the new passangers of HKC 02 (the return trip). 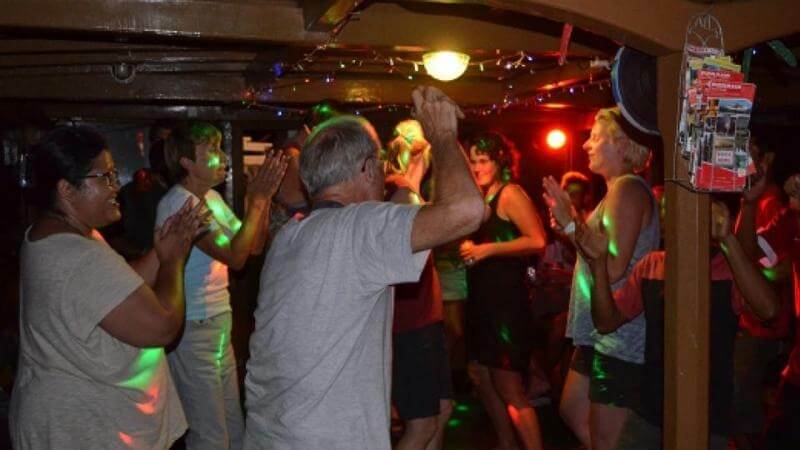 Enjoy the special dinner buffee while exchanging experience with fellow travelres, accompanied by music entertainment from the boat crew and prepare your best dance move because the dance floor in ready for you to rock it. we schedule the to Party ends at 22:00, and its a farewell for the HKC01 Passangers with a great memory of an adventure to land of the dragon.